I received these blocks from SherriD yesterday. Aren’t they great? 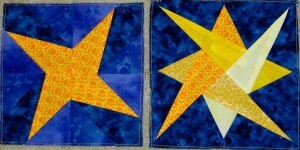 I love the combinations of goldy-yellows and blues she chose for the blocks. They glow. Sherri told me that she tried a new technique to make the blocks, which is a great idea. 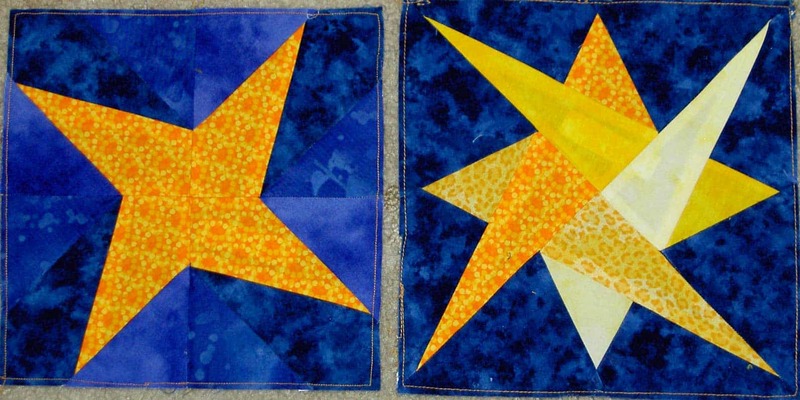 It is nice to not have to commit to an entire quilt if you want to try something new.